Which Diesel Fuel Management System is For You? An accurate fuel management system is a crucial part of making sure that your business preserves fuel efficiency and keeps the cost down – especially if you manage a fleet of vehicles. Staying cost-effective is a great benefit of having the right fuel management system on your fleet, but it’s certainly not the only one. Other advantages include protection against unauthorised access and awareness of the fleet’s efficiency. Why diesel specifically? 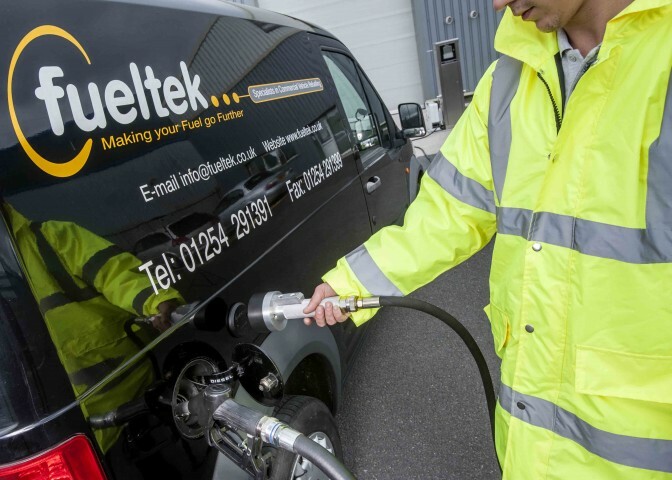 There are lots of reasons why many fleet managers opt for this fuel, such as the fact that diesel vehicles are often more fuel-efficient than other types of vehicles; it can also offer more miles to the gallon, which will be more cost-effective when it comes to longer journeys. While it’s mainly diesel’s fuel economy that makes it such a popular choice for fleets, diesel engines are also preferred because they tend to have a longer lifespan (when compared to petrol, for example). In order to take full advantage of the benefits diesel fuel offers, you need to have the right management system. So how do you choose the best diesel fuel monitoring system? By comparing their capabilities and choosing the one which will answer all your fleet’s needs. Below, you can find two of our popular monitoring systems. The FT4000 is a simple yet sophisticated fuel management system designed to deliver total and complete control for commercial transport organisations that dispense fuel onsite. With direct Internet communication to the Fueltek FMO software, you can easily upload transaction information; update the FT4000 FACT and access transaction data for reporting purposes, access stock information and much more anywhere, as long as you have Internet access. You can manage up to four pumps simultaneously, capturing information like odometer readings, job codes, driver ID’s, fleet numbers, and more, at the point of fuelling. The sturdy and reliable FT4000-USB is an integrated fuel pump/ fuel management system designed to stop unauthorised access to your fuel and to monitor up to two pumps at the same time. It will also give you an audible and visual warning when the fuel is low and allows you to easily check the total fuel used by your fleet. The FT4000-USB can be pedestal-mounted or wall-mounted, depending on the features of your site or your specific requirements. This system relies on Datatag, our own tried and trusted proximity tag, and utilises a robust heavy-duty keypad for driver entries (like mileage readings). The data is exported to a USB memory device and uploaded to the Fueltek FMO-USB, a web-hosted, browser-based software. It is then sorted into either transaction history or total used for each Datatag, and you can export it into Excel or Word if you wish. For more information about our services, you can contact us on 01254 291391 to speak to our highly-skilled team. They are always happy to answer any query you might have and help you find the ideal solution for your requirements. Alternatively, you can follow us on Facebook and Twitter to see all of our news and updates.